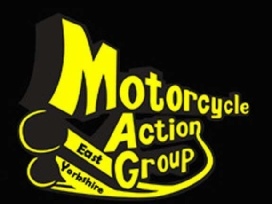 The Motorcycle Action Group is a volunteer rider’s rights group that was formed in 1973, fighting for the "rights" of ALL Powered two wheelers. So whether you ride a scooter, chop, tourer or sportsbike, MAG represent you and your "rights". Renowned for its strap line “Let The Rider Decide” MAG UK has celebrated motorcycling and the freedom and independence that it brings for well over 40 years. MAG UK has four members of staff, two of whom run the national office and membership along with Dr Leon Mannings who works on the groups’ motorcycle policy issues in the UK. Working with Leon is Lembit Opik the former MP who is the Director of Communications and Public Affairs. 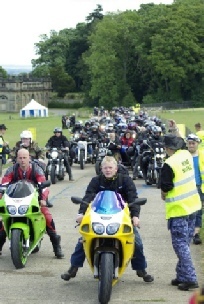 Lembit walks the halls of power representing MAG and all motorcyclists. He is the point of contact for the ever increasing amount of motorcycling MPs who have joined the ever increasing ranks of the Motorcycle Action Group. MAG members in the UK are drawn from the broad spectrum of the motorcycling world and working together with other motorcycling organisations in Europe we have joined together through FEMA to combat legislation coming out of the European Union. East Yorkshire MAG campaigned, and won the "right" of ptw's to use the bus lanes in Hull. East Yorkshire MAG also campaigned, and won the "right" for ptw's to use the Humber Bridge for free. Join us and help preserve your "right" to ride! It’s your ride, so you should decide!